What Does Transitional Justice have to do with Sustainable Development? From a transitional justice standpoint, the 2019 UN High-Level Political Forum (HLPF) on Sustainable Development is important is because it is the first time that Sustainable Development Goal 16 will be among the SDGs that will be up for review. Unlike their predecessors, the Millennium Development Goals, the SDGs explicitly include issues of peace and justice — particularly within SDG 16, which includes targets having to do with rule of law, access to justice, inclusive institutions, the reduction of violence, and the reduction of corruption. Other SDGs important to transitional justice include those on gender and inequality. And while the SDGs do not discuss human rights violations or transitional justice, they do offer a common framework of objectives that transitional justice shares. 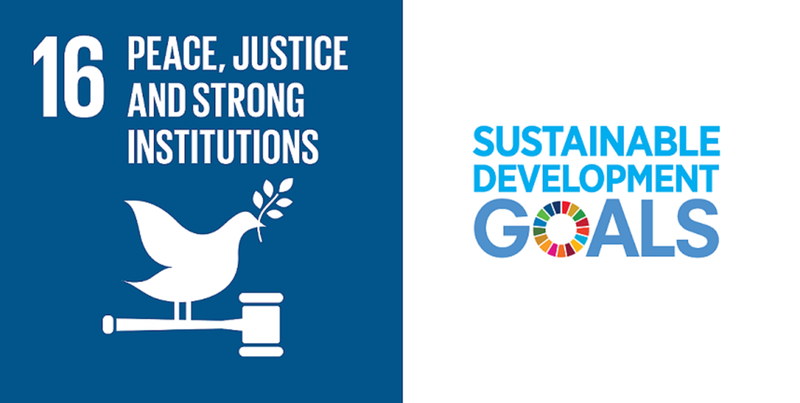 The Task Force on Justice, a group that was formed in 2018 as part of the Pathfinders for Peaceful, Just and Inclusive Societies initiative in the lead up to HLPF, is gathering inputs in order to encourage greater provision of justice to people and communities outside the protection of the law. It is preparing a report aimed at policymakers and UN member states in advance the highly anticipated political forum in 2019. As the Task Force has pointed out, the “justice gap” that it seeks to reduce is greatest in conflict-affected countries, where only 3 percent of development assistance goes to justice. In addition, the justice gap can be of a different nature in countries that have experienced violent conflict and repression. Where serious and massive human rights violations have occurred and where specific groups — including those already among the most marginalized — have been targeted by violence because of their identity, the legacies of those crimes create particular challenges for the rule of law, access to justice, and sustainable development. While the SDGs do not take into account these contexts, the Task Force has acknowledged the potential role of transitional justice in creating sustainable peace and development. In 2018, ICTJ therefore convened a working group to examine the contribution of transitional justice to SDG 16 and other relevant goals (SDG16+). This group has met several times throughout the year and is putting together a working paper that it will submit to the Task Force on Justice in advance of its final meeting in The Hague in February 2019. The working paper will be the collective product of the 20 members of the working group, comprised of NGOs, international organizations, and governments with a particular interest in justice and development. ICTJ is glad to be leading one of the groups giving voice to these issues, and on November 15 we participated in “The Big Think on Justice” — a one-day forum organized by the Knowledge Platform Security and Rule of Law, the Dutch Ministry of Foreign Affairs, and the Pathfinders for Peaceful, Just and Inclusive Societies. The workshop gathered approximately 100 justice and rule of law experts from civil society in The Hague and beyond. Through efforts like these, the working group on transitional justice and SDG16+ is making the case that policymakers and donors should support and invest in transitional justice to reduce the justice gap. In contexts of serious and massive human rights violations, we contend that peace and development will be more sustainable if societies pursue justice for those violations. In addition, however, we are saying that the particular approach taken to transitional justice will determine its contribution to the SDGs. It is critical, for example, that transitional justice is context-and gender-specific, designed with an eye to long-term change, and substantially driven not by governments alone, but by victims and a wide range of civil society actors. More than this, the working group envisions a role for international actors in which they are enablers rather than implementers of domestic transitional justice processes. It is boldly targeting donors and policymakers to make them understand how they can contribute to prevention by helping countries make more sustainable and inclusive transitions to peace. In line with the work of the Pathfinders initiative more broadly, the working group is also advocating for expanding the principles of transitional justice beyond template or toolbox approaches, encouraging innovative problem-solving, and taking account of local priorities and political dynamics. At the Big Think, ICTJ and fellow working group member Impunity Watch ran two breakout sessions on transitional justice, focused on issues such as the reducing exclusion and grievances and preventing the recurrence of violent conflict, the range of conceptions of justice victims and affected communities can hold, and the role of the international community. Concurrent sessions focused on justice for women, justice as prevention, and investing and innovating in justice. And in another session on funding, civil society and justice experts exchanged valuable input in plenary and one-on-one. 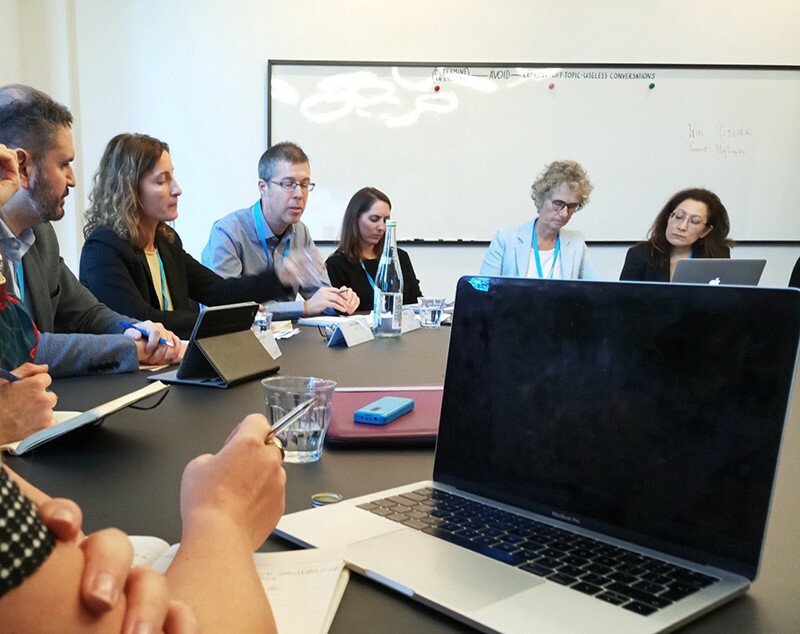 The working group on transitional justice is building on discussions such as these by working to finalize a submission to the Task Force that will be part of discussions at its final meeting in February in The Hague. That will not be the end of the road, however. Between then and the High-Level Political Forum in July and September 2019, we will widely disseminate our recommendations to policymakers and donors. The Big Think and the work of the Task Force are unique opportunities to showcase the value of transitional justice in sustainable development, and we expect that they will help us continue to make our case and inform policy discourse at the highest levels. The International Center for Transitional Justice works for justice in countries that have endured massive human rights abuses under repression and in conflict.